People are watching other people play video games, and it’s taking off. The eSports industry brought in $1.5 billion in revenue globally this year. By 2020, that figure will grow by 26%, according to the latest market report. eSports will be a medal event at the 2022 Asian Games in Hangzhou. Slobodan Gluvić is a recent MBA graduate from Sydney’s Australian Graduate School of Management (AGSM) working at the heart of the global eSports industry. Since the summer of 2017, he’s been driving the growth of GAMURS; a media startup which runs dotesports.com, the largest eSports news portal in the world. Directly supporting the company CEO, he works on business strategy and operations. GAMURS is launching a new educational technology—edtech—platform for eSports this year. And Slobodan’s goals and those of the company are very much aligned: to shape the future of gaming. Originally from Serbia, Slobodan relocated to Sydney for an MBA at AGSM. Drawn by the school’s focus on entrepreneurship and innovation, he was determined to jump into an exciting new career in Australia after graduation. He’s done exactly that. What is the future for eSports? eSports will continue to gain prominence in the mainstream media as the industry grows. During my MBA at AGSM, various professors mentioned the term ‘unstoppable trend’—that’s exactly what eSports has become. If you take into account prize pools as the relevant metric, or the revenue the industry generates, or sheer number of people who follow eSports, all of them show that eSports is here to stay. 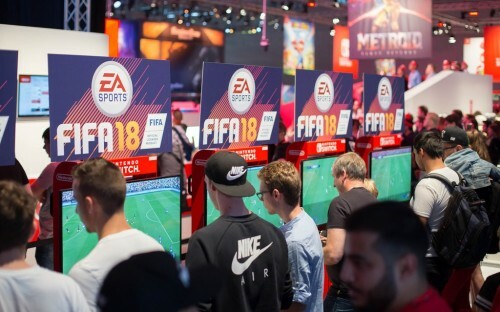 The future is leaning towards having more regular competitions, regulated leagues, and increasing number of businesses competing for advertising to the males aged 18-to-35 which are the most sought-after demographic. What are your plans at GAMURS for 2018? We have come a long way since the last year and we are the kind of business that moves quickly. In December 2017, we started localizing our content to test how to effectively tap into new markets and expand our reach. Early in January, we launched a new vertical which covers the latest news in general gaming and we plan to continue pushing these products so that they grow and we become a staple brand in the eSports media space. During 2018, apart from growth, we are launching an educational platform for eSports. It is our credo to shape the future of gaming and this is our vision. Apart from strategy, I also handle a decent chunk of the company's operations. Putting in place policies, handling reporting or discussing the execution of projects and oversight have all been part of my routine. A perfect example was the outsourcing of a database migration project to Serbia which I personally handled, including hiring of staff; production of instructional videos; payment; and post-project feedback. I feel privileged to be able to leverage what I learned at AGSM to help GAMURS succeed in the market and hopefully become the next media powerhouse in the gaming space. Would you be where you are today without the AGSM MBA? If I hadn’t been given a chance to study the AGSM MBA in Australia, I would have never had the chance to meet my CEO or find out about GAMURS. The AGSM MBA has given me an opportunity to develop my critical thinking and expand my understanding on how businesses really work. That gave me the opportunity to interview for the position at GAMURS and brought me to where I am today. GAMURS has also exposed me to cutting-edge technologies such as cryptocurrencies, and latest trends in digital marketing, so I can continue to build my career with confidence and make the business a success.